COMING LIVE to The Wiltern on Friday 17th November 2017 is the one and only – Gryffin and you can grab this once in a lifetime opportunity to be there! With his chart topping hits, Gryffin is one of the hottest artists right now on the Electronic Dance music scene! Tickets are available, but they won’t be for long – so don’t miss yours.. come and show your support for the rapidly rising star! The Californian producer, guitarist an pianist has been lately smashing the charts with his groundbreaking new music! After making his move to LA and working with management, he was able to take over the social media world with his youtube channel back in 2016. The emerging talent became one of the most talked about at the time and his single "Heading Home" – which featured the ozzy singer, Josef Salvat, hitting the Hot Dance/Electronic songs Chart and 22 and the number 1 spot on Spotify top 50 charts! 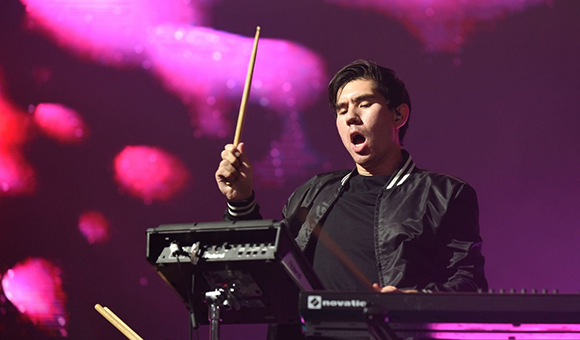 Even with his ever growing career, Gryffin remains humble throughout – "At the beginning, I just released music with the main goal of having my friends play it at college parties and I never would have imagined it would get to this point" and this energy really shines through his live performances. 'Whole Heart’ is a big step for me as an artist, as it represents a developing maturity of my sound and depth of songwriting."